Visiting Scholar Jo Holz (ASC ’81) joined the Annenberg Public Policy Center in July to begin work on a sociocultural history of American children’s television. Her resulting book will cover the development of major television shows from the beginning of children’s programming up through present-day offerings. Holz first came to the Annenberg School for Communication to study political communication after closely following the Watergate scandal while working for the mayor of Boston in the 1970s. Her interest in Watergate prompted a coworker to suggest she look into the Annenberg School at Penn for graduate school. At ASC she earned her master’s degree in communication with a thesis focusing on Watergate, and a Ph.D. with a dissertation on agenda setting. Her dissertation considered how the media’s description of an anticipated event – a march by neo-Nazis in Skokie, Ill., home to a number of Holocaust survivors – affected the public perception of the event. Her graduate studies at the Annenberg School for Communication (described in this video) eventually led her to work as head of research for Children’s Television Workshop, now called Sesame Workshop, and subsequently to a position as Senior Vice President of Research at Nielsen, the global information and measurement company. 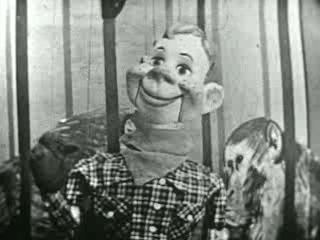 The TV show “Howdy Doody” debuted on NBC in 1947. Holz said this book will likely be the first of its kind, covering the entire span of American children’s television, rather than focusing on one show in particular or on children’s TV as a subtopic in an analysis of TV in general. The earliest shows date back to 1946-47, including “The Howdy Doody Show” on NBC, and “Small Fry Club” and “Birthday Party,” both on the DuMont Television Network. Elmo visits the Annenberg Public Policy Center. Everything from gender norms and expectations to humor to depictions of family life has changed dramatically in the more than 50 years since the beginning of children’s programming. Children’s shows, she said, are also significantly shaped by trends in adult television. Cartoons, for example, were originally created for adult moviegoers, but eventually found an audience among young television viewers when they were broadcast on the small screen. Similarly, “Sesame Street,” a veritable staple of children’s programming, was strongly influenced by the groundbreaking comedy show “Laugh-In,” as well as by techniques used in TV advertisements. 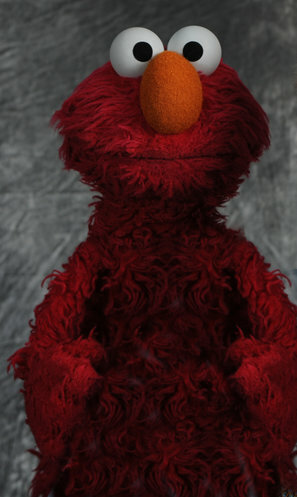 While Sesame Street garnered some criticism for its innovative techniques, especially questions about how the quick pace of the editing might affect the attention spans of young viewers, it is now a standard to which other educational shows aspire. Today, in a media landscape dominated by exponential variety, the concerns surrounding “Sesame Street” might seem quaint. Just as it has with adults, technology is changing the way children access media. For example, children’s television viewing is declining while tablet use increases, giving parents more control over what their children watch.